CHICAGO -- Oprah Winfrey is giving fans a chance to own some of her clothes and accessories via a charity auction of items from her Chicago office closet. 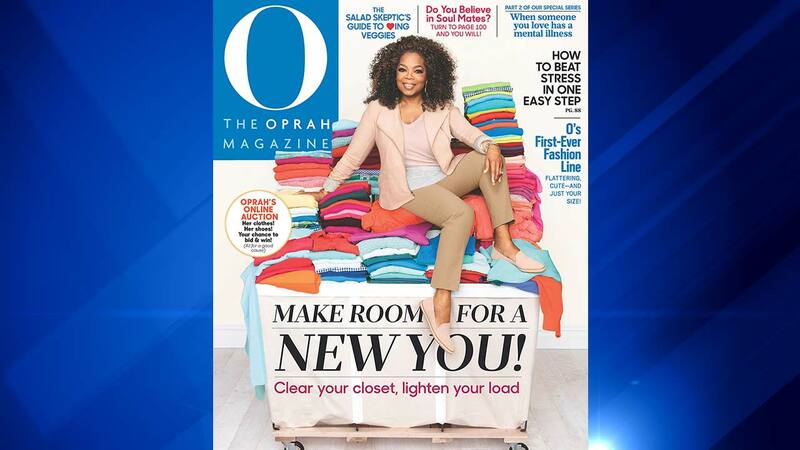 In her March issue of O, The Oprah Magazine, she gives readers an inside look at the closet clean-out - which will include more than 250 pieces of clothing and accessories. Oprah called her Chicago office home for nearly 30 years. "What I hang on to will have meaning for me. What I give away will be put to good use by someone else. When I'm sure something of mine is going to someone who will really use and appreciate it, I'm completely fine with letting go," she said in a statement Thursday. The auction will begin at 12 a.m. EST on March 1 and end on March 4. Proceeds will benefit the Oprah Winfrey Leadership Academy for Girls.